One of the most important aspects of running a good website is having basic photo editing skills. Using GIMP is free and easy. You can do all the heavy duty editing processes like photoshop or just basic things that Microsoft Paint cannot do! When you post to your WordPress or other CMS you cannot put huge pictures on your site. I see many clients put pictures that are 3000×4000 pixels into a spot for a 300×400 picture. It will look fine, your CMS will resize the picture to fit, but the problem is that the web server will have to download the huge picture then resize it. This is where GIMP helps out. Re-size your photo before you upload it to your website! Thanks for reading my GIMP article. 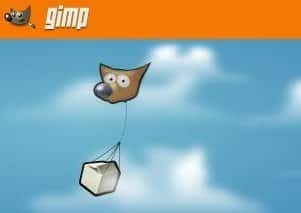 Well I guess its a GIMP Ad! If you have any questions please Contact Grover Web Design or leave a comment below.